Great Topic because it gets to the heart of the question if the causeway was needed for transport to build Khufu Akhet. You left out the most important piece of archeological evidence in this respect, but that's ok, no worries: The so-called "trial-passage" just north of the boat pit 5c. According to Lehner, and I tentatively agree with his rationale on this (I can post ref unless you have it), that was meant to be a pyramid, not just a practice run. It would have been a pyramid on the same axis as G1a-c and about the same size. Instead, and this goes with the idea of a religious shift (Hawass/Breasted) sometime during the reign of Khufu (I asked Hawass if this was the fifth cattle count or the fifth year and he was ambivalent about it), this pyramid was abandoned to allow for a bigger mortuary temple, an altered course of the causeway, and the boat pit 5c. So in your challenge, we have to differentiate "initial M.T." from "final lay-out M.T.". Regarding "4" that is not G7000x, it is G1a. I may have misunderstood something in your photo construction, if so apologies. G7000x is just east of G1a and next to G1x where Hetepheres I was supposed to be buried. In other words, G7000x is the Hetepheres shaft and G1x is the T-shaped beginning of an abandoned pyramid. Mark Lehner thought they (G1x + G7000x) were meant to be part of the same superstructure. Regarding Hetepheres relationship to Khufu, she must have been his mother, because the king's wife accolade is missing from her titular sequence. This was originally pointed out by Silke Roth (2001) who proposed that Khufu was Sneferu's step son brought into the family by Hetepheres I, herself a princess (see title sequence), possibly a daughther of Huni. Sorry for this digression and back to your OP. 6 + 3a The Nile end of the causeway (only to incorporate Herodotus into this model) and the presumed V.T. 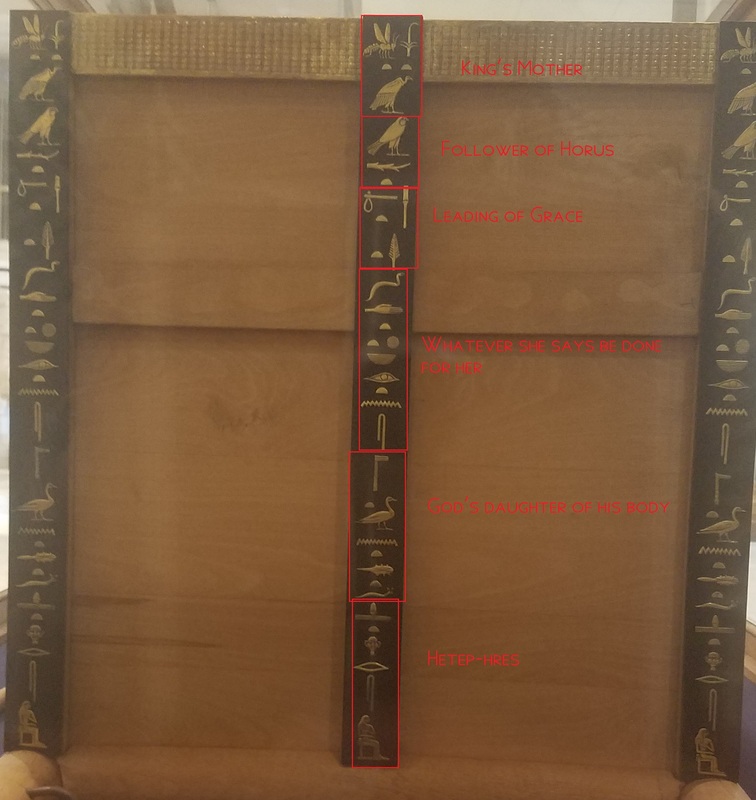 4 (ie the entire set of 4 pyramids including the "trial passage" + G1a-c, thereby reassigning G1-a to Hetepheres I and abandoning G7000x and the adjacent "organ burial". I should add that it is possible that G1c was built after Khufu died. Robert and I show evidence to the contrary (ie we think the Inventory Stele is correct on this), but others think it was built by Khafre. I am now left with 5a and 5b and 8, Khufu's death. My hunch is the boat pits were cut into some part of the pavement which makes me place them as late structures, is possibly similar to Djedefre placing a boat at the south base. So tentatively I am going to place those boat pits at the end of the sequence. Khufu's death: From Wadi Al-Jarf we know Khufu (and Ankhaf) was alive when Tura stone was shipped to Giza. I guess the question is which of these structures might he not have seen and I would say on just a hunch, 5a 5b and 5c so I would place Khufu before 5c. This is a soft, not a hard, line of evidence which suggests that the causeway, the proximal end that is, was not essential for construction since it was altered in the middle of planning and may have instead been symbolic judging by the boat "floating" down it towards some important spot on the horizon. The main evidence seems to be that altering the causeway when the northern satellite pyramid was abandoned created the ~<14° angle (13° 21') whose importance is corroborated with Khafre's C.W. You can flip this around and ask why would a logistically important path to the pyramid be changed along almost half its course during construction of the most difficult part of this structure, the higher courses? 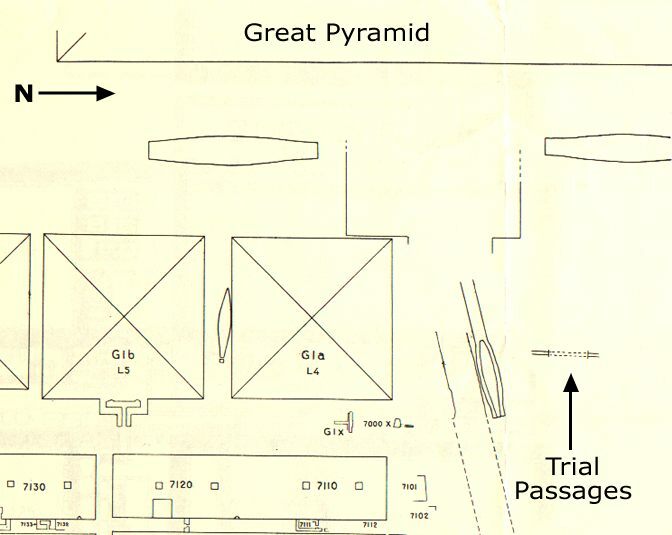 Why place a pyramid ("trial-passage" in the way of a logistical road? It's still a soft argument nevertheless, subject to one's appraisal of Lehner's rationale that this is not just a practice run. Edited 4 time(s). Last edit at 05-Jun-18 15:08 by Manu.